The owners of a large Strath Creek grazing property were delighted to have a couple of unusual bird visitors this week. 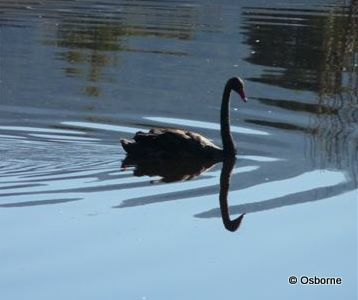 This Black Swan spent a day on a dam close to their house before moving on. 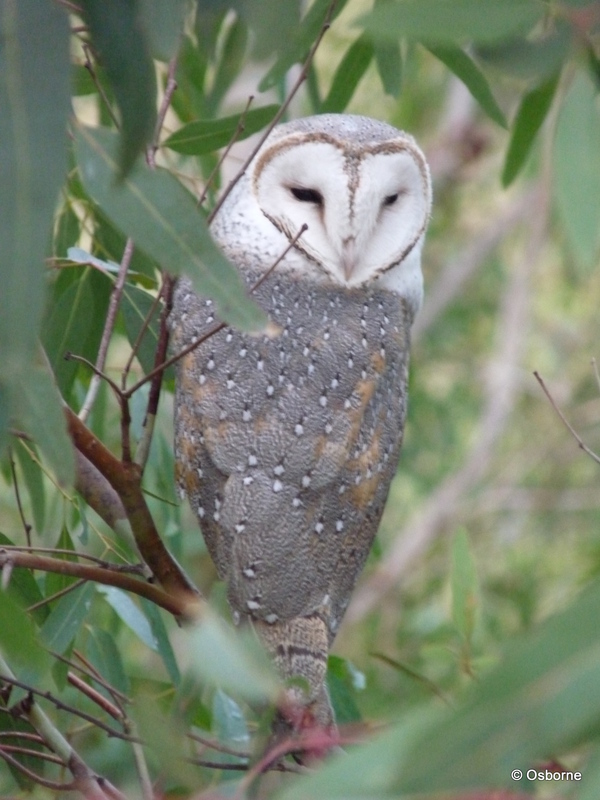 A couple of days later they were able to take this magnificent photo of a Barn Owl perched in a eucalypt tree. With the large numbers of mice around at present, the owl should be having a feast !